Based on our motto, we at “EUROKOS” do not build just to say so. 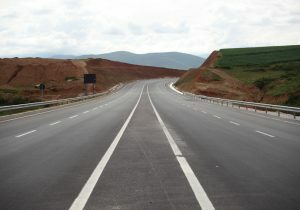 We want and we work for our roads to be safe and sustainable, according to all predictions, expectations and deadlines. This is not easy and can not be done by anyone. Building a road is a complex process. The quality of all the materials that are used should be checked. In every segment there should be fullfilled the standards for the body or the bed of the road. It is needed time, patience, planification, design and exact and clear implementation of everything. Fortunately we have experts, workers and machinery. We have built city roads, rural roads, with our power we have opened roads between mountains and this way we have fasten and improved lives. Roads that we pave and add, they all have a perfect harmony with the environment that surrounds them. Many people these objects call arteries. If it is like that, we want that through our roads to unite peoples’ hearts.